Road Pitch was founded in 2014 by Cairn Cross, co-founder and managing director of FreshTracks Capital. The event is a multi-day motorcycle trip around Vermont where a pack of “business bikers” with investing, entrepreneurial/business and business advisory experience ride together and stop in small towns where “Local Organizers” have organized a pitch session for entrepreneurs to pitch their business ideas to the group. We are taking a “sabbatical” in 2019 and expect to be back in action during 2020. Vermont entrepreneurs to resources such as advice and capital. Interpersonal networking and camaraderie in Vermont’s entrepreneurial ecosystem. Entrepreneurs polish and refine their pitching skills and help communities build resilient entrepreneurial ecosystems. Entrepreneurship in Vermont through a highly visible annual event. Investible opportunities for private investors and source capital for entrepreneurial businesses. 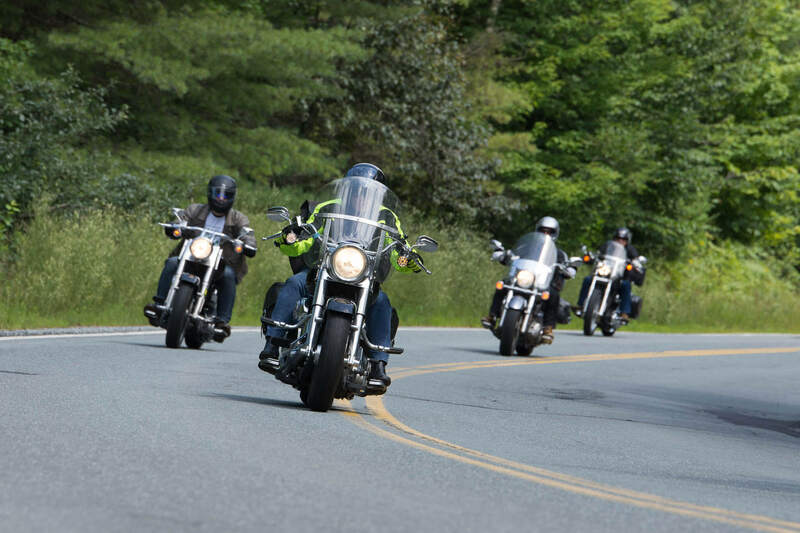 Motorcycle touring and various destinations in Vermont while having fun and riding safely.